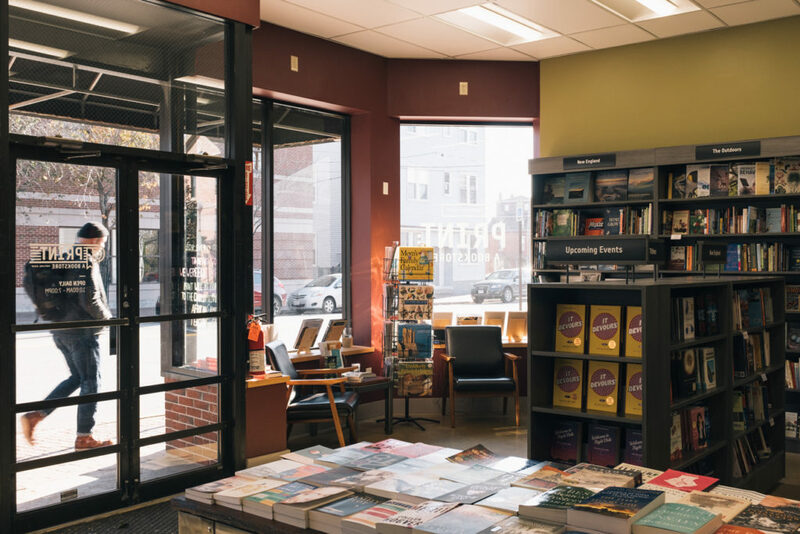 A behind-the-scenes look at the bookselling lifestyle with the co-owner of Print Bookstore in Portland, Maine. Tell us about Print. What’s special or different about your store? 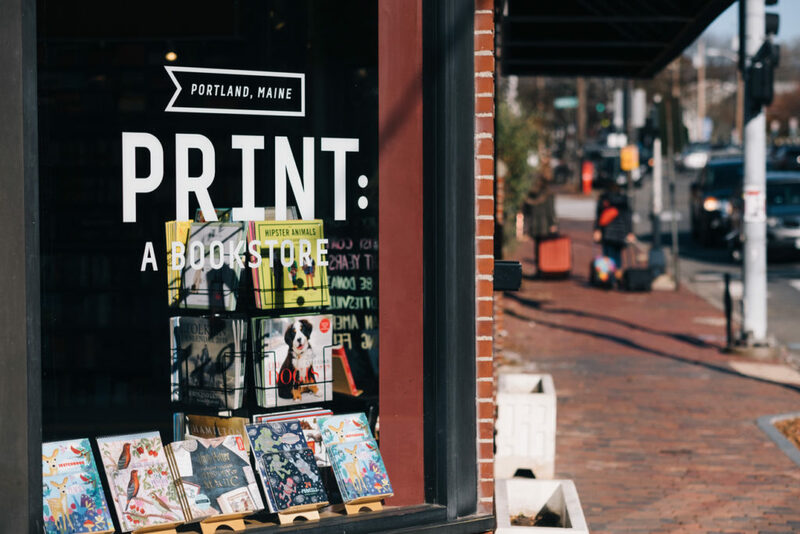 Print is the newest bookstore in Portland. We’re on Portland’s East End, which is a quickly growing part of town, and a place that was lacking a new independent bookstore. There’s a great used bookstore near us, but we’re the only independent store selling new books in this area. We’re very much an event-driven store. 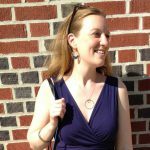 Emily worked at Greenlight Bookstore in Brooklyn and at the Odyssey Bookshop in South Hadley, Massachusetts, so she came to this with tons of event experience. We wanted to do about 100 events a year, so we have a couple every week. Often people come from as far away as New York and Boston. We’ve been trying to draw some names, and we’ve had some success. We had Tom Perrotta a couple of months ago. We had an event with Andre Dubus III. We had John Hodgman last week, and Jennifer Egan is coming next week. We did an event with Anthony Doerr this summer. We also wanted to be a community bookstore, so we’ve done a lot in terms of school visits and school book fairs, stuff like that. We want to integrate into the community at the East End of Portland. We’re very much a general trade bookstore, so we have a little bit of everything, but we have a pretty heavy focus on literary fiction and poetry and fairly progressive, left-leaning books in terms of nonfiction. What made you decide to become a bookseller? I’ve been doing it so long at this point, it would be foolish to do anything else. I started selling books at Sherman’s Books in Camden, Maine in 2004, the month they opened. It was a summer job during college. I fell in love with the work and the whole mission of independent bookstores. I love that they’re places for people to come together for discussion, for literature. The great thing about working at a small bookstore was that I could do a lot of different things: helping with events and buying, along with working on the floor. At Sherman’s I found this could be more of a vocation, something I thought I could make a career out of. I started working full-time in bookselling in 2008. Soon after I started, I was appointed to the board of the New England Independent Booksellers Association, and at that point, it was like “OK, this is definitely what my career’s going to be. I really love this community, and I love the work.” I continued working for Sherman’s for years; I moved from the Camden store to the one in Freeport and then helped them design and manage a new store in Portland. And I loved it, but in 2016 my father passed away unexpectedly, and that got me thinking about what the next step in my career would be. Coincidentally, at the same time, Emily got in touch and asked if I had any interest in opening a store of my own because we had both worked in different but complementary parts of the bookselling industry. We started talking, and pretty quickly we developed a business plan and found our space in Portland. How did you two meet? Did you work together before opening Print? No, we were industry peers. I was on the board of the New England Independent Booksellers Association when she was doing events for the Odyssey. We got to know each other through that, and we started talking and joking on Twitter more than anything else. We’re also both from Maine, and she spent time in Camden when I worked at Sherman’s. 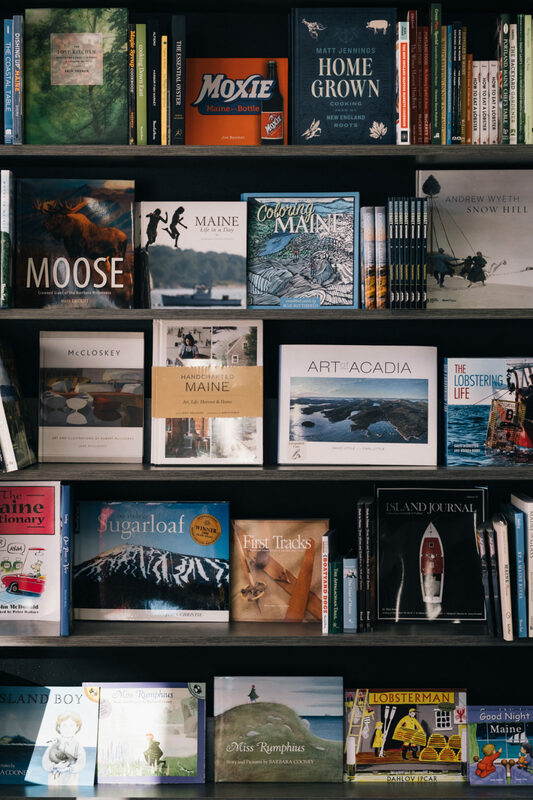 Opening a small bookstore on the coast of Maine sounds like a fantasy for a lot of people. 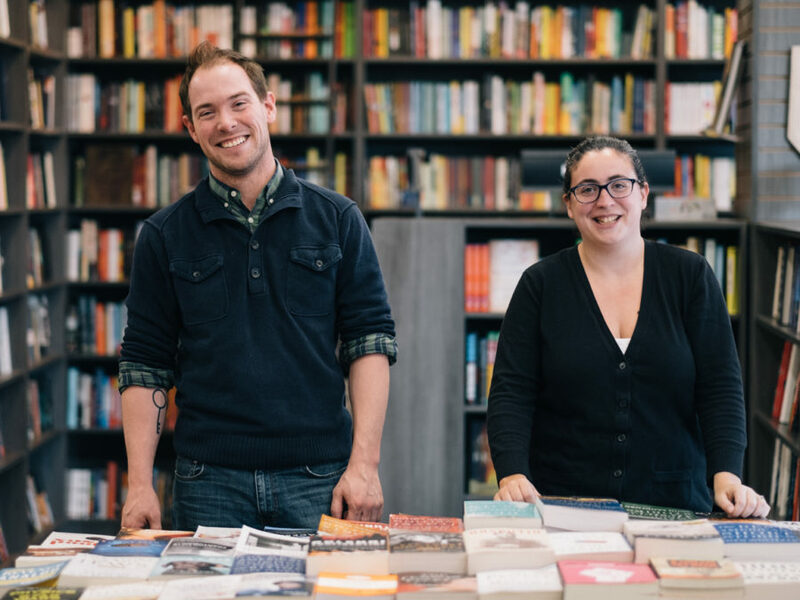 Had you dreamed of owning a bookstore before that, and were there any challenges specific to opening one in Portland? If you had asked me before Emily approached me about it, I don’t think I had ever thought about owning a store. It was probably a pipe dream, but something I’d never seriously thought about. In terms of how we made it happen, the business plan was largely based on guidance from the American Booksellers’ Association. Our funding was super conditional. We started this with a mix of personal savings and a very small bank loan. We had both worked for independent bookstores, so we had no illusions about the profit margins and how tough the business could be. And Portland is not an inexpensive town. But we found this great space on a main thoroughfare, and it has these great big windows along the wall for displays. We worked with a designer to create the space, started ordering books over the summer, and opened the week of Thanksgiving last year. How did you decide on the name Print? We wanted something that was not particularly precious but was evocative of what we would be carrying, and we always conceived of the store as being 80 to 90% books, without too many sidelines and other products. The name “Print” appealed to both of us, and kind of importantly in 2017, the URL and social media handles weren’t taken. Putting books that people will love into their hands. Bookselling is about talking to the person, finding something they will love, and giving it to them. It’s building a relationship so they’ll come back again. When I started, all I was doing was talking to people and giving them books. As my role evolved, I was doing more work in the back office, payroll and buying books and things like that, which is great, but it’s not the same as talking to someone about a book. Any challenges or surprises you’ve encountered in your years of bookselling? It’s funny, because Amazon and eBooks were an existential crisis in a lot of ways for bookstores. But Amazon had been around for at least 10 years when I started in bookselling, so it wasn’t the same for me as it was for a lot of long-time booksellers. They’ve always been part of the landscape for booksellers in my generation. I started full-time as a bookseller in 2008, the Great Recession, so that was definitely a challenge just in terms of the market. People could buy books on Amazon at cost, if they were even buying books at all. And then the launch of the Kindle. You may remember the doomsday headlines from Publishers Weekly and others that the majority of the market—or maybe the entirety of the market—would be eBooks, which I always thought was kind of fearmongering and unrealistic. Those were both challenges I navigated as a bookseller. It came down to building community relationships and relationships with customers, and focusing on creating an environment that was not only a place where people could buy books, but a place where people wanted to buy books, so even with the extra cost it was more appealing than buying books online. And realistically, I don’t have any problems with buying books online. If you get some of your books online and some of your books at a brick-and-mortar store, that’s great, too. I want to be able to sell you some of your books. The latest trend I’ve heard about it that people are craving print; they want more analog experiences. Do you find that to be true? Yeah, there’s a great book by David Sax that just came out in paperback called The Revenge of Analog, which is all about the return of print books and vinyl and all kinds of other analog technology. I think it makes sense. The people who are the most excited to hold a book, to hug a book basically and smell it, all that stuff book-lovers talk about, are teenagers in the young adult section. It’s not 40-, 50-, and 60-year-olds; it’s young people, which is really nice to see as a bookseller. Connecting people with books and authors. And connecting books with community. Do you have any favorite memories or stories about connecting books with customers? I have better examples from working as a bookseller in Freeport for six years because Print is brand new, relatively speaking. There are kids I started selling books to when their families were shopping in the children’s section, and by the time I finished they were reading young adult, or starting to read classics for high school. That’s really, really cool. And for me personally, it’s been rewarding to see that customers I developed relationships with at the stores in Freeport and Portland have followed me to Print because for them it’s about that personal relationship with a bookseller. They shop here now because they want to talk with me and my staff about the books we recommend. If you could expand your space infinitely, what would you add to Print? It’s been cool to see how popular the poetry section is here. I know it’s a tough section for a lot of stores, but we’ve seen incredible growth. 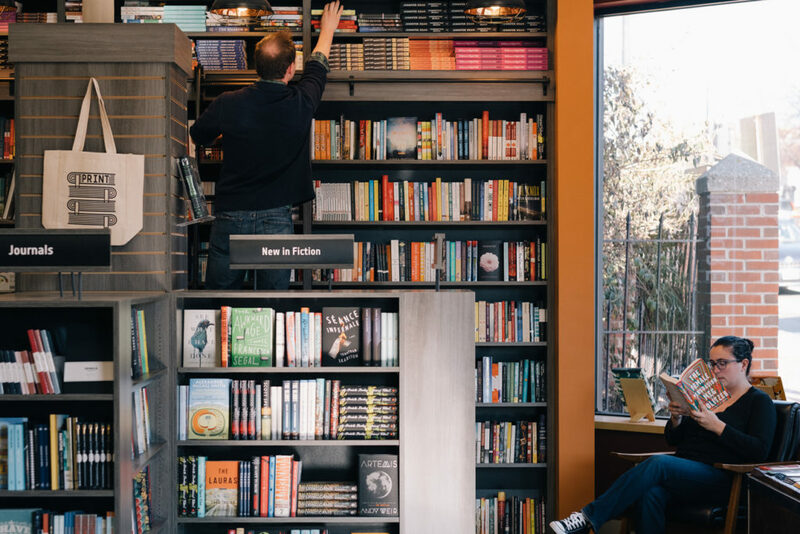 Maybe it’s because there aren’t other stores in Portland that focus on it, and also the fact that myself and some other staff members really like poetry—not just the classics, but we seek out contemporary poets. So I would love to expand that section. I would add more essays, criticism, literary journals, cookbooks, and art books if we had more space. For events, we have space for about 70 people seated or 100 people with standing room, and we’ve maxed that out a couple of times already, so more event space would be cool, too. Do you have favorite books and authors, or a genre, that you’d like to share? Sure. As I said before, I like poetry. In particular, for us, two publishers, Write Bloody and Button Poetry, have just had across the board outstanding work. They publish a lot of queer poets, trans poets, poets of color, and works in translation: these voices you aren’t necessarily finding from some of the bigger publishers’ poetry imprints. Wedding Toasts I’ll Never Give by Ada Calhoun is maybe my favorite book of the year. It’s a short series of essays about love, marriage, and relationships, and the basic premise is that the movie version of marriage where everything is happy all the time is not only not realistic, but impossible. Another is The Stranger In the Woods, the story of Christopher Knight, who lived almost 30 years as a hermit near the North Pond in Maine. He didn’t interact with any other human beings except for one person he said hi to in passing on the road. It’s an amazing story. What are your favorite books to consistently recommend to customers? One of the requests we get most often is a paperback that’s light or funny or not depressing, which is so much of literature, especially popular fiction—it’s all about the darkness. It’s funny because one of my other favorite books this year was My Absolute Darling by Gabriel Tallent, which is just an endlessly dark and depressing story. But Where’d You Go, Bernadette by Maria Semple is a good answer for the person who wants a fun read. It’s just so funny and so uniquely weird. There’s a Verlyn Klinkenborg book called Several Short Sentences About Writing, which is a writing advice book, but it’s actually more like poetry than prose, so it reads in an interesting way. It’s structured almost in verse. That’s a fun one to sell as well. Any trends or predictions for the bookselling industry? As you mentioned, print is having a resurgence. People are thirsting for the printed word. 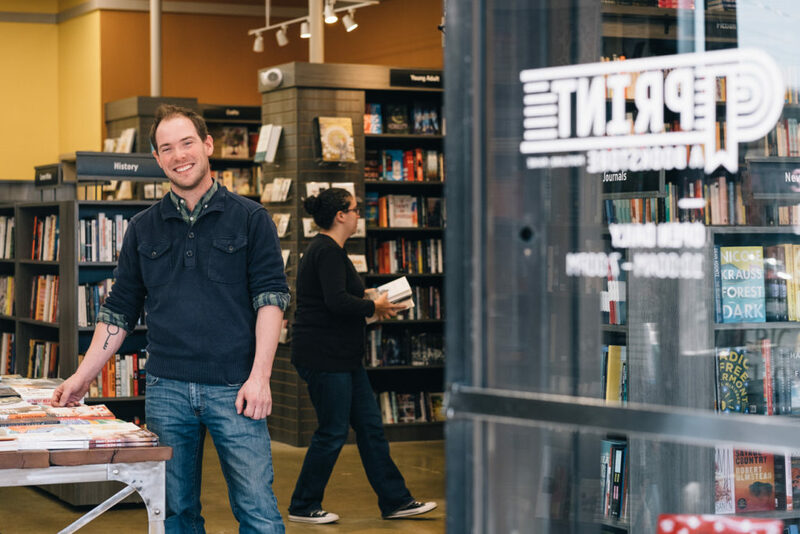 I think that’s important, and it’s great that we’re seeing a new generation of booksellers, myself included, who are opening stores all over the country. So that bodes well for the future of independent bookstores. 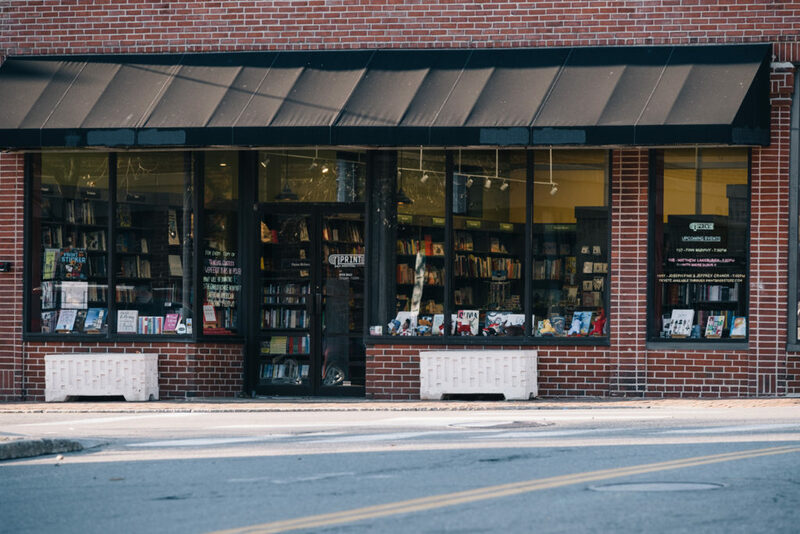 I think a continued focus on community involvement and events for independent bookstores is important because it’s not enough to just be a place where people pick up books anymore. They have to be more invested. 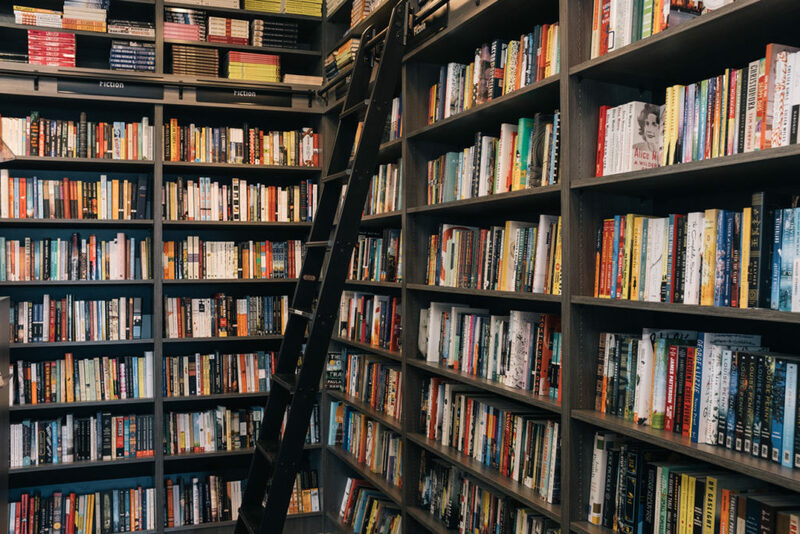 As any bookseller will tell you, we’re curating our books and they’re all our darlings, which is great, but we have to be more than just a place where people come to pick up a physical book. It’s also been weird to see trends following the election last year. For us, postmortems of the election have been soft in terms of sales. Books that are activism-oriented, books for the resistance, that kind of thing, have been selling very well. Things like Hannah Arendt’s The Origins of Totalitarianism, physical copies of the U.S. Constitution, Orwell books, and Upton Sinclair books have seen big sales. But anything that’s about current affairs and not activism-focused has been less popular in our store. I don’t know if that’s just temporary because people are so exhausted by what’s going on, or if it will be a greater trend. I feel like it’s temporary. It will be interesting to see what’s happening. Another trend is cookbooks. You would think they would be disappearing, because who doesn’t look up their recipes online? But our cooking section does well. I think, for the most part, publishers are making the most beautiful cookbooks they’ve ever made. It’s no longer just a collection of recipes; it’s a physical artifact that you have in your house. I think it’s not unlikely that if I wasn’t a bookseller, I would be looking for work at a publisher. I’ve also written four books, and I do a lot of freelance writing, a lot of it about the beer industry, so I might be in craft brewing somewhere. Two of my books are about the Maine outdoors or skiing, which is what I studied in school, so maybe I’d be in the recreation industry. But it’s hard to see any of those things as anything but a diversion from bookselling.